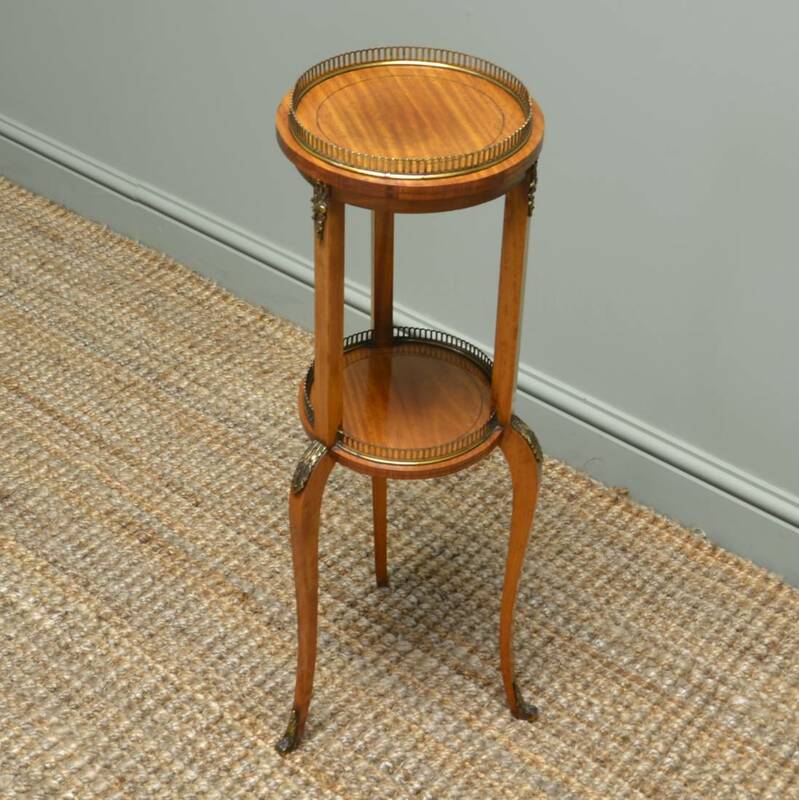 The Antique Jardiniere is basically a very decorative Plant Stand usually from the Victorian era and is very elegant in design. 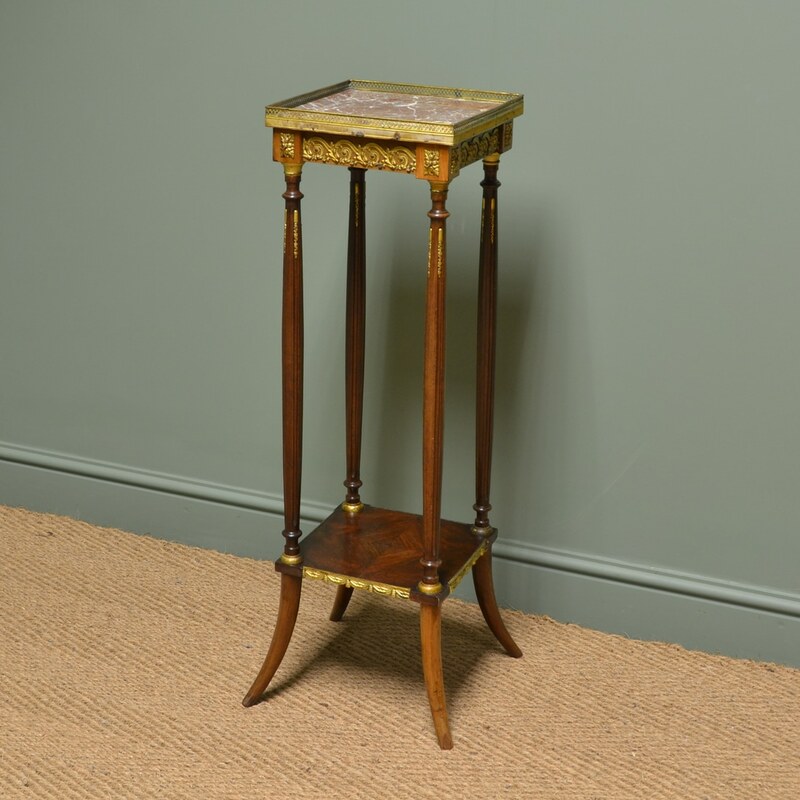 The word Jardiniere is french and means a feminine form of gardener, so they designed these with the Victorian Lady in mind and made them quite feminine and elegant looking usually with out-swept legs and inlay or gilt decoration. Although they are quite fine looking, they are surprisingly quite robust and can usually hold quite a good sized plant or vase of flowers. They also make the ideal lamp tables as they are tall in height, so will display lots of light in your room. They are mainly constructed in Mahogany and Satinwood but some of the later examples can be seen in oak. Have a look below at our lovely examples available for sale. Below are a few examples of previously sold Jardinieres and Plant Stands, but if any particular style looks of interest please let us know as we do get many similar designs in stock and we can try to locate something similar. Victorian, Marble Top, Quality Carved Antique Plant Stand. 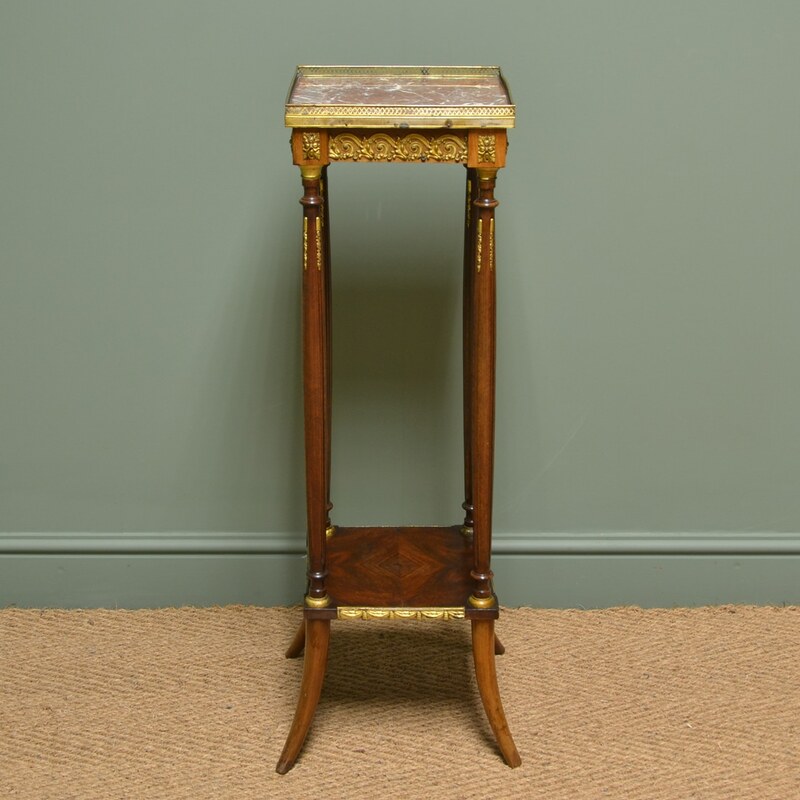 Dating from the Victorian period, circa 1890, this is a beautiful antique plant stand with a marble top and delightfully carved decoration. This genuine, solid and very sturdy piece oozes quality unlike other cheap and light weight copies that can be found in the market place. 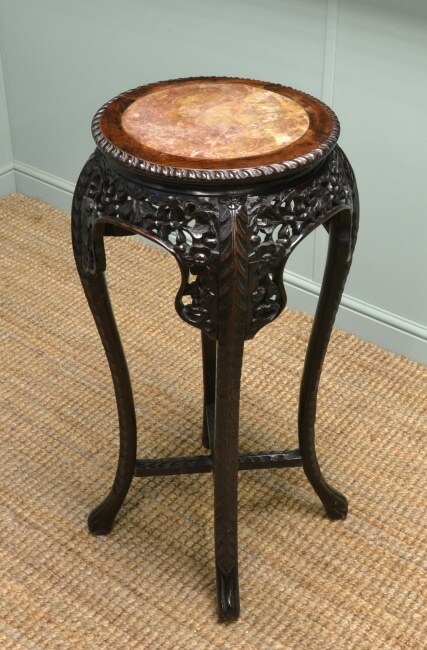 It has a circular top with central marble insert surrounded by walnut and a beautifully carved circumference. 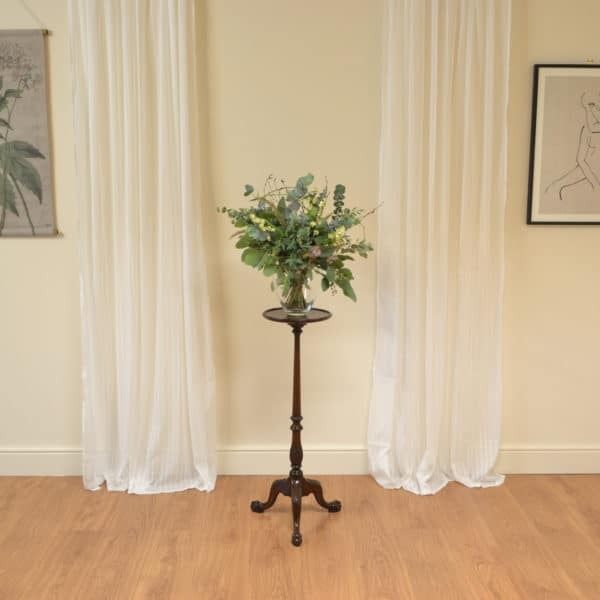 The supporting four legs emerge from a pierced, intricately carved, apron and they themselves display delightful leaf carvings which are replicated on the ‘X’ framed cross stretcher which provides this weighty peace with added stability. 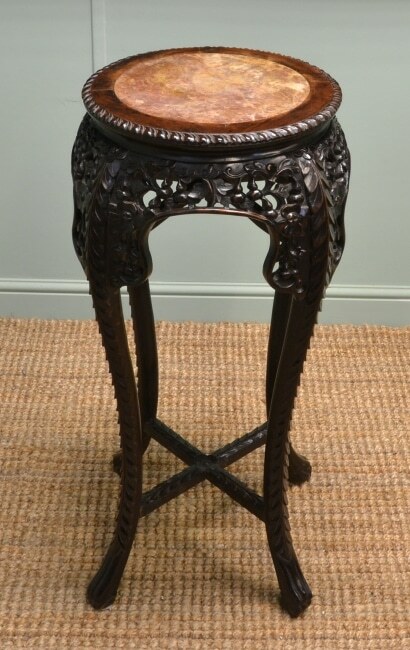 Spectacular Victorian Satinwood Lamp Table / Jardinière stand. 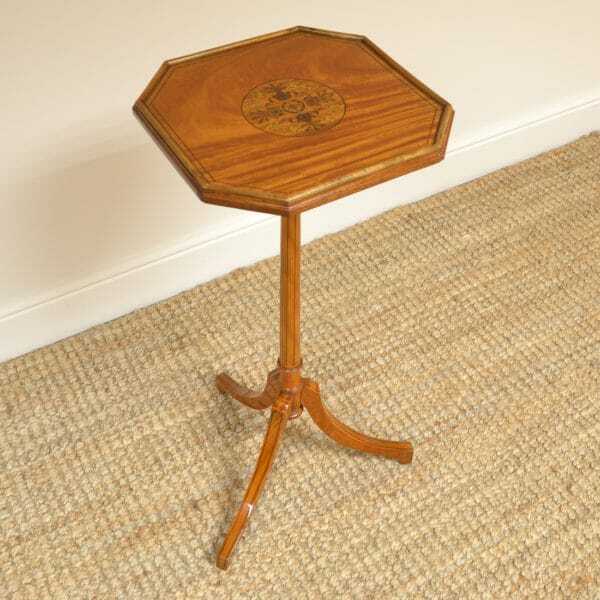 This Spectacular Victorian satinwood Lamp Table can also be used as a jardinière plant stand and dates from ca. 1900. 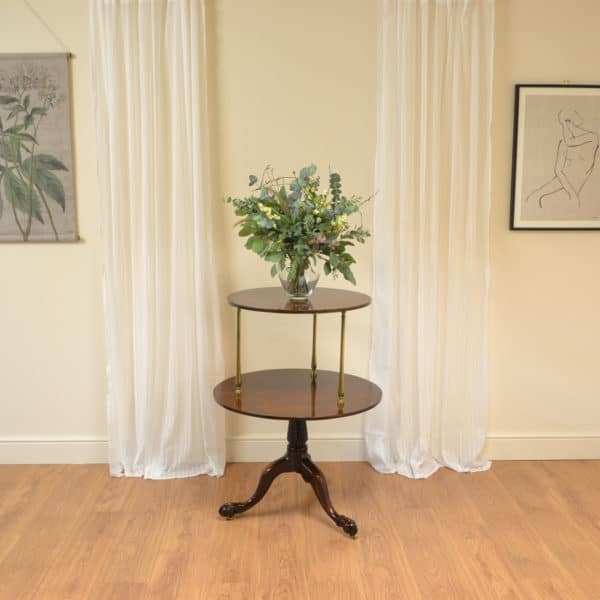 It has two circular finely inlaid tops with a decorative brass gallery and stands on three elegant cabriole legs with decorative brass mounts. 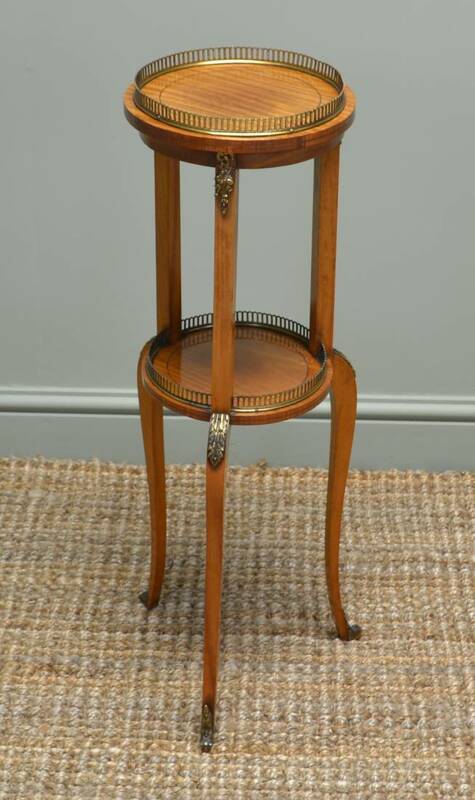 Decorative Edwardian Walnut Antique Plant / Lamp Stand. Dating From Around 1900 In the Edwardian Period, This Decorative Antique Could be Used as either a plant or a lamp stand. It has a marble top with pierced brass gallery edge above four beautifully turned uprights and four splayed legs with a lower tier and decorative brass mounts.